Celebrating 20 years as a staple in the neutral category, the GEL-NIMBUS 20 delivers the excellent ride yet with a new 3D print in the upper that in combination with the gradient mesh, provides more room in the toe area whilst also flex and support through the midfoot. This fluid skin upper adapts to the runner's foot while strategic overlays seamlessly wrap and support the foot throughout the run. 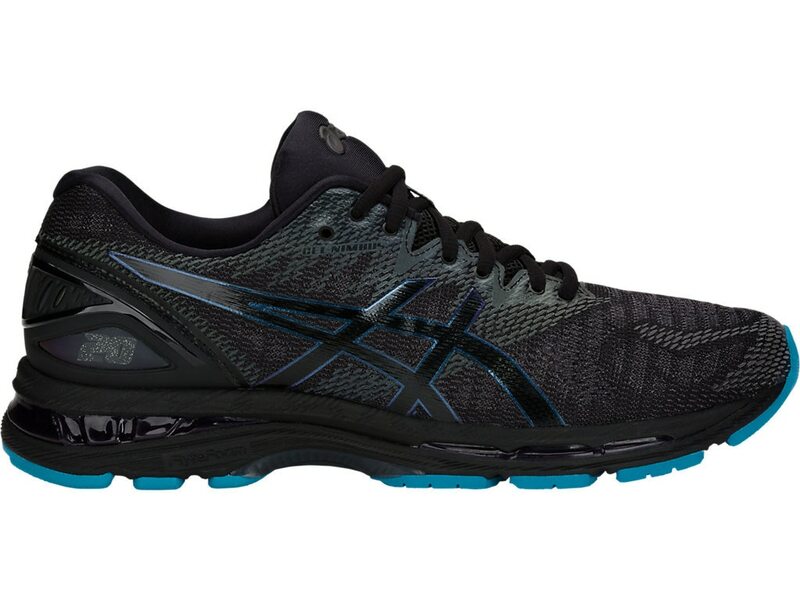 FlyteFoam and SpEVAFoam in the midsole creates a more plush cushioned ride in a lighter weight packaging. Constructed using groundbreaking midsole foam, the FlyteFoam is 55%* lighter than the industry standard. its organic fibres bounce the shoe back into its original shape to provide cushioning from the start of your run to the finish. *+/- 10%. our FlyteFoam technology provides exceptional bounce back and responsiveness no matter the distance, utilizing organic super fibers to help reduce packing out that traditionally happens with softer, low density foams.